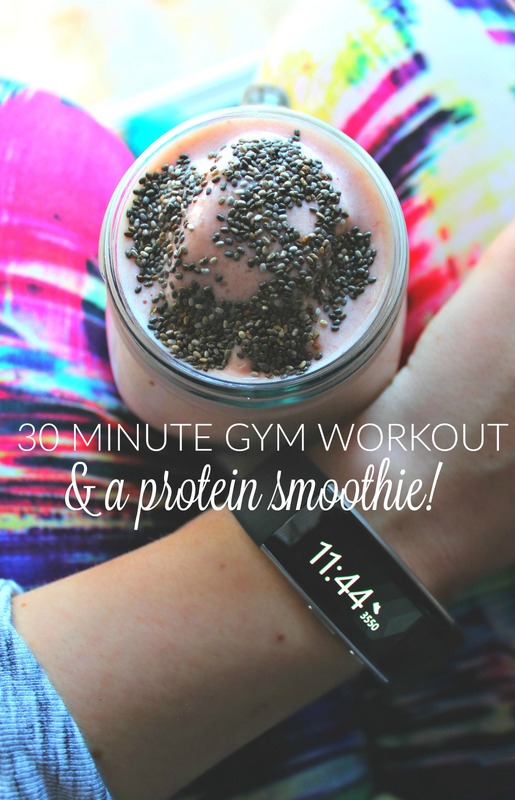 Travel Snacks, A Workout, & A Protein Shake! I always dread the day after a vacation. Its hard to get back into the swing of things, unloading my luggage, doing all the laundry, and grocery shopping. Luckily that is all done now. We headed back from our trip on Tuesday around 11am. We didn’t want to fight D.C. traffic, so we left a little later. 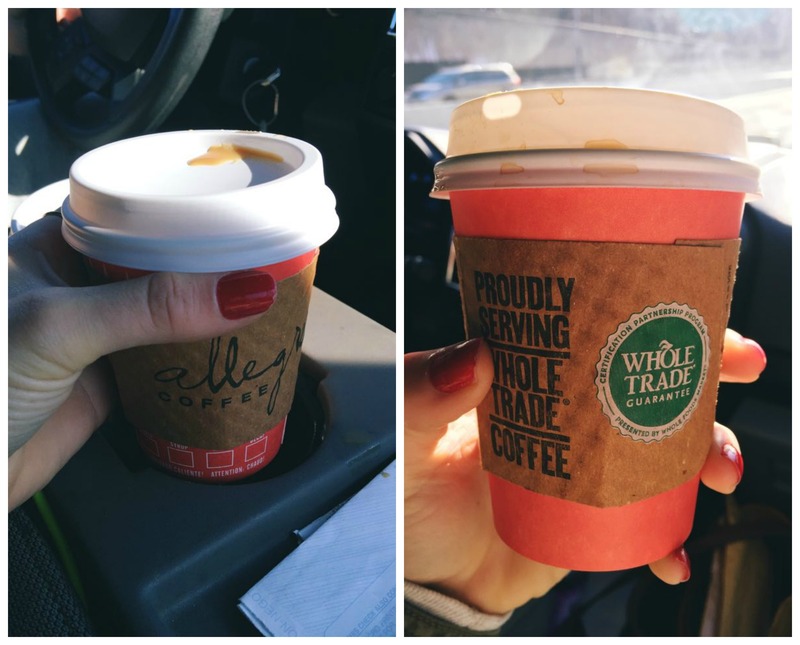 Before we headed out, we stopped at Whole Foods for some road trip snacks and coffee. Whole Foods has really good coffee and they always have unique blends available. We didn’t have time to sit down and have breakfast or pack lunches, so it was all about the snacks! 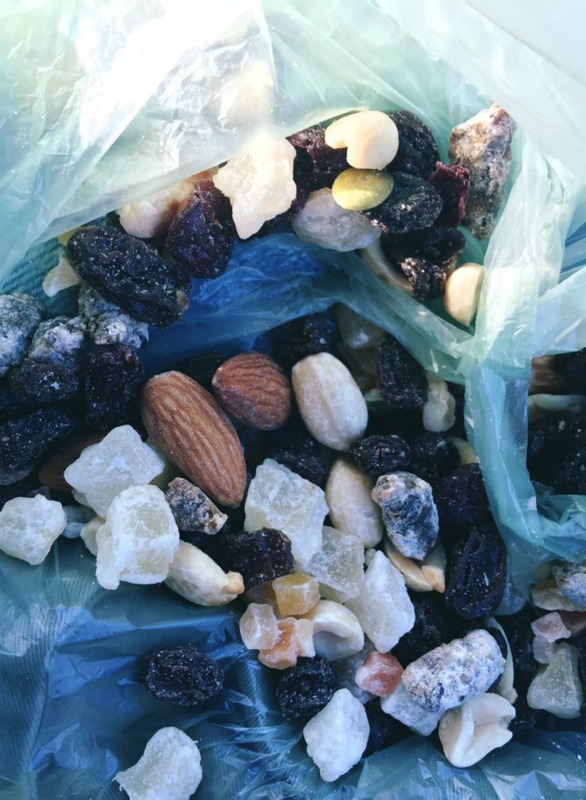 Whole Foods has the best trail mix blends. This one had raisins, dried cranberries, dried pineapple, dried papaya, dates, almonds, hazelnuts, and pumpkin seeds. I love their bulk selection becuase I can buy it in portions rather than the entire bag. An entire bag of trail mix would be dangerous in a car with me for seven hours. I also picked up some fresh juice (apple, ginger, carrot) mixed fruit, and a blueberry Kind bar. The blueberry Kind flavors are the best! We made it back around 7pm and I headed to my parents house to pick up my pup. When I got back to my place, I made a pita pizza and some mac and cheese broccoli! I had a decaf espresso and a piece of hazelnut dark chocolate for dessert. I went to the grocery store to pick up some food for my place for the week. I didn’t have a set list so I threw a bunch of items in the cart. 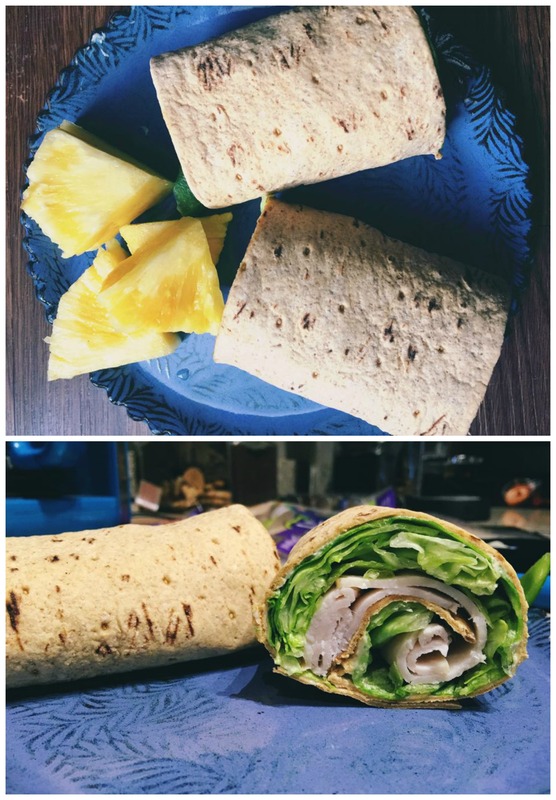 I decided this week was going to be full of wraps! 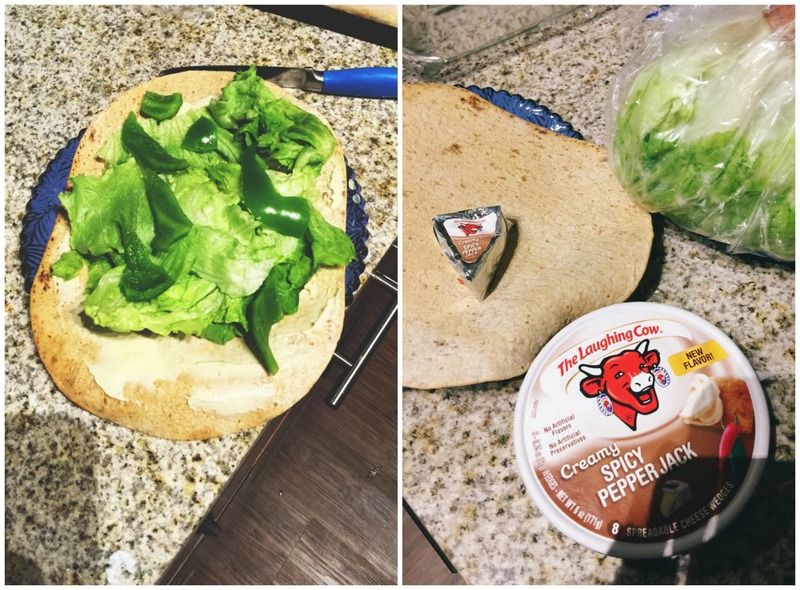 This wrap had spicy pepperjack cream cheese, a flat out wrap, lettuce, bell pepper, turkey, and mustard. I love filling the wraps with tons of lettuce. It gives it an extra crunch and makes it more filling. 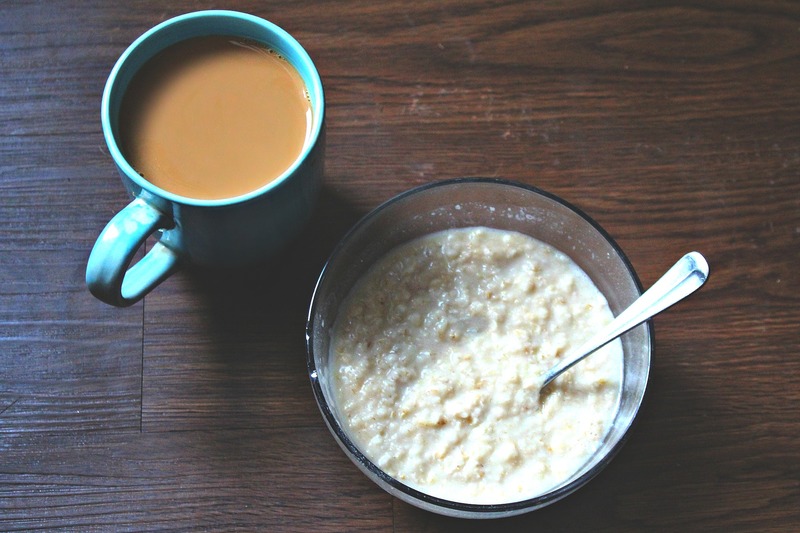 For breakfast this morning I had a bowl of oatmeal mixed with almond milk to make it creamier and a cup of coffee. I decided to try out my new Microsoft Band. I’ve had this thing for a while but never set it up. I regret letting it sit in my office this long because it’s super cool and really motivating. Subway and Microsoft have been working together to reinforce and strengthen their commitment to living a healthy and active lifestyle. The band syncs with your phone and all your information is stored on your phone. You can set and make goals. I wrote up a workout before hitting the gym. This is a fun 30 minutes workout that’ll have you sweating and feeling the burn! ^Do the above as fast as you can without pausing between movements. -40 Alternating frontward kick/punches with 5 lbs weights in each hand. 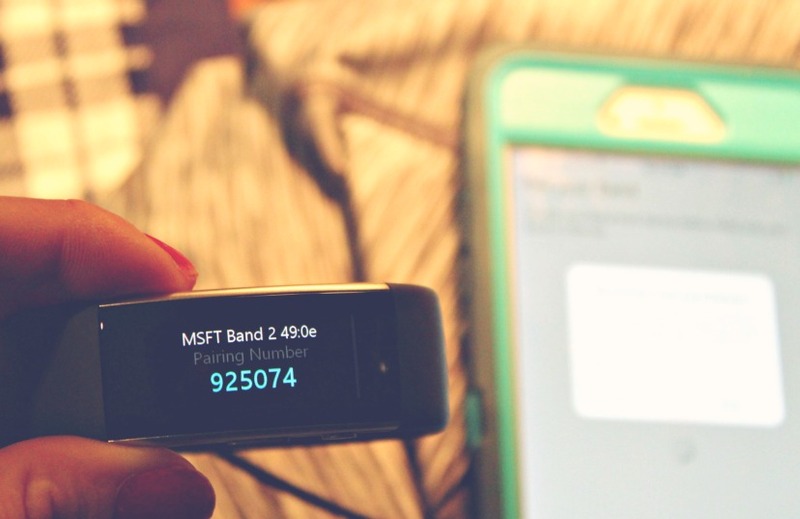 I was obsessed with watching my steps on my Microsoft Band. If you like this workout but need more of a challenge, increase your weights or add more reps. I also added in a ten minute ab workout. After my workout, I made a protein shake for lunch. 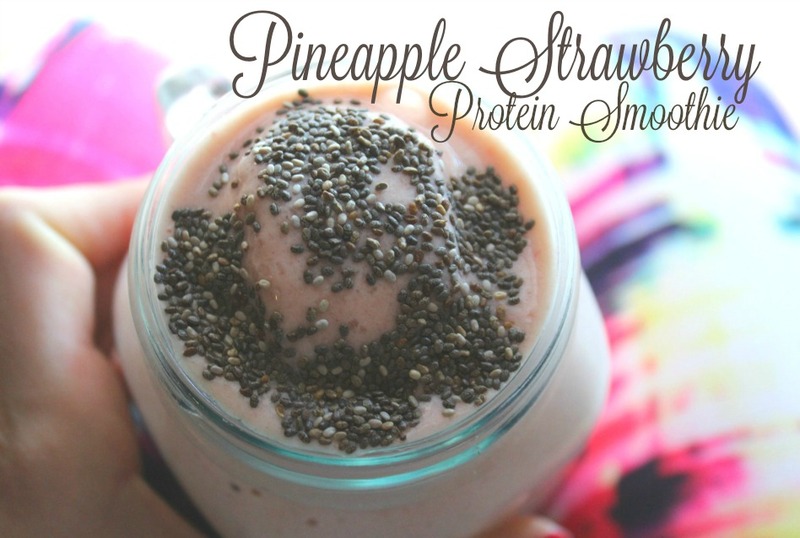 Ingredients: 1 scoop vanilla protein powder, 1 tablespoon chia seeds, 1/2 cup ice, 1 cup frozen strawberry and pineapple, and 2 cups almond milk. 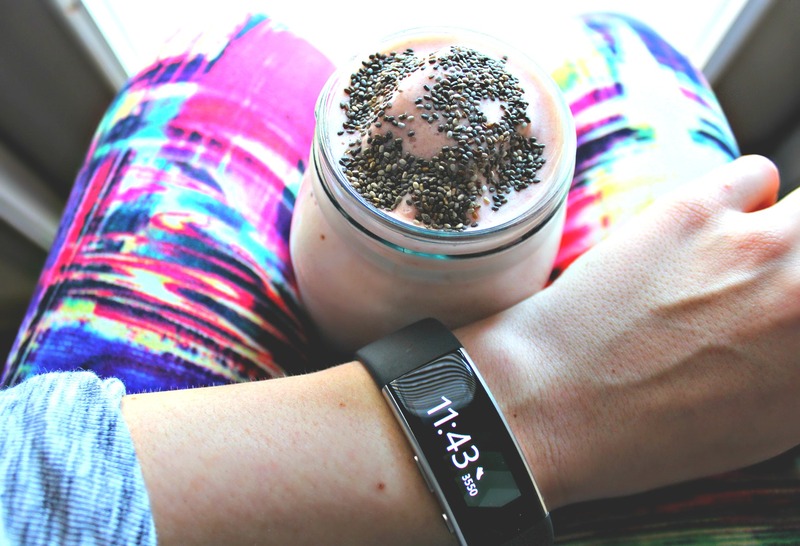 I love how refreshing shakes are after a workout and they are so filling! I need that or I always feel hungry. 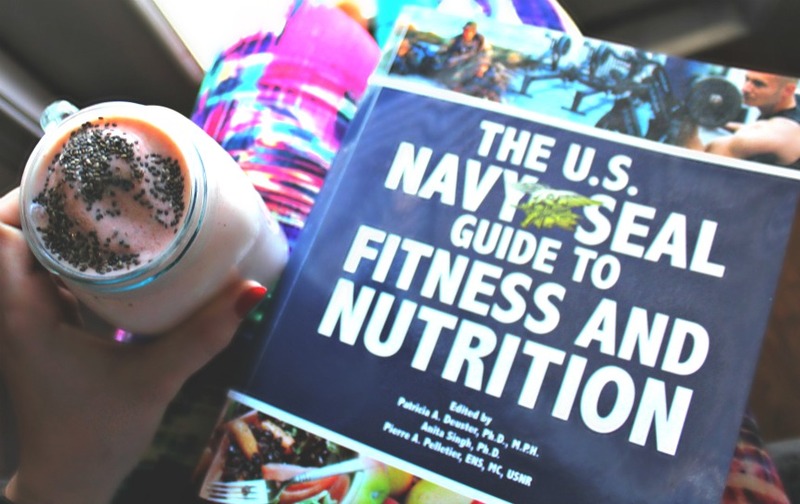 I’ve been making my way through this book, The U.S. Navy Seal Guide to Fitness and Nutrition and it is so good. I especially like the runner’s section. I’ll let you all know what I think when I’m done! Did you watch The People’s Choice Awards? What do you think? AHHH that print on your leggings is soo cute! I can’t wear polyester though it has to be nylon for me, or I would be all over them haha. Love the poppy colors though! Have you heard of Airabella Active they have a tone of poppy colors, but they aren’t prints like your’s they’re mostly solids… They are a little more, but they are super comfy, and thick enough to hold everything in well. Just checked out Airabella! I love those cosmic pink active pants! You should seriously look up Sarah Butler. I watch a movie with her in it and you guys could be twins it’s insane. hahaha ill take that as a compliment! 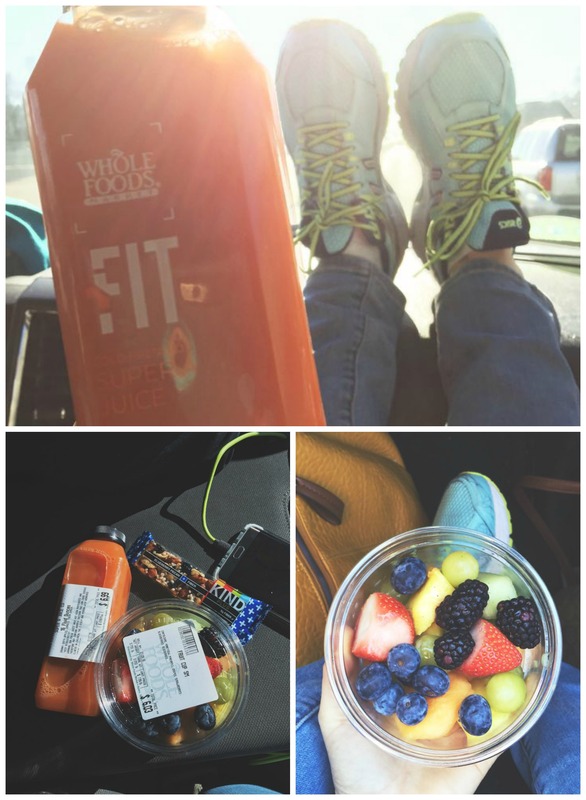 Healthy travel snacks/ food is so key! There is nothing worse than driving all day without any food! I always have to stop to use the bathroom, but I try to cut back on my water drinking just during the trip! Love to track my steps with ARGUS! I also try to cut back on water, but it’s hard sometimes! Thank you for the protein shake recipe! hahaha love that “the camel”! I’ll have to check that app out! I love those pants! Just bought some. They’re super soft and fun! I love your blog! Is there a place I can find more designs of those leggings? They’re awesome! Thanks Court! I’m actually adding more to the shop today! I also have the MB and love that it’s connected to my messages! Me too! I wish it would play music! 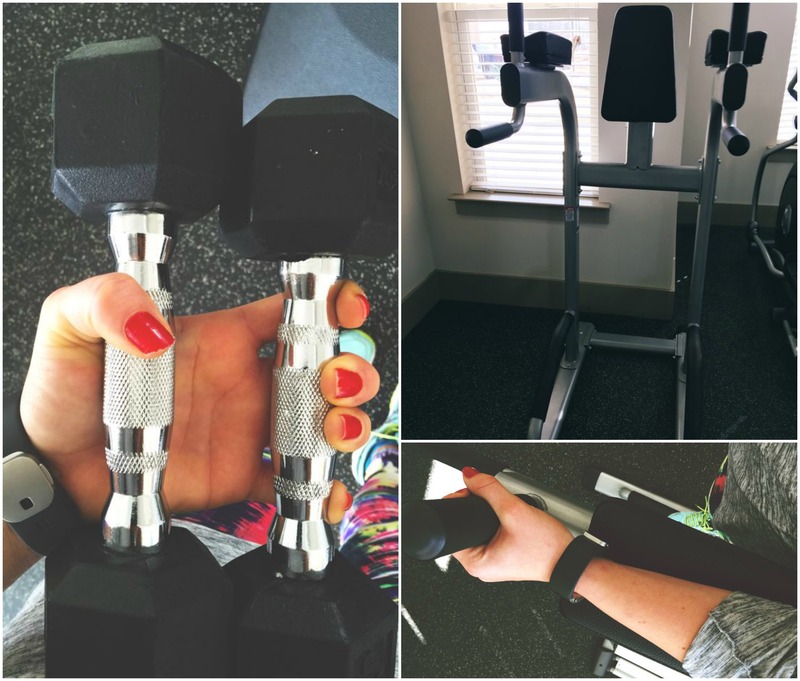 I’ve tried a few fitness aps… the first was the MyPlate to track my macros and calories. I ended up deleting it from my phone because I found that it was mentally too restrictive. I would log EVERYTHING and consistently check my progress and my adherence to the “proper” macros. Ultimately, I thought it was a great tool to learn portion control and as a food diary to get a more honest sensee of what you eat, but I didn’t like strictly keeping up with it. I also recently used the 5×5 Strong Lifts ap to try a 5×5 lifting program. It gives you a really simple workout 3 times a week that cycles the five basic compound lifts and adds weight each time. It was easy to stick to and track my progress. I just stopped using it because I joined CrossFit…. which, I wish someone made a CrossFit app so that I could log into my box account and track my WODS! That would be such a cool App! Crossfit kills me and I end up sore for weeks. Nice job on joining! I used to do that with fitness pal, but it’s better to just track fitness and eat healthy without worrying about calories! Yes! My boyfriend’s dad tries that sometimes, but he always fails. When you’re trying to stay hydrated you’ve got to go to the bathroom! My boyfriend and his parents got me a fitbit for Christmas and it’s awesome! We have been taking walks to get 10000 steps everyday. Im excited to hear more about the Microsoft band. I used to use MyFitnessPal to track food but don’t anymore…it’s easy to get obsessive about calorie tracking for me! Hope you had a nice vacay! 10,000! I need to get up more lol. I barely hit 6000 yesterday, but I also didnt just yesterday so maybe that is why. I love that it’s connected to my phone so i can read text and see incoming calls! I used to always dread the day after vacation too, but now I absolutely relish being home! It is nice to sleep in your own bed and be home! 🙂 Although, the bed we slept in on vacation was heaven! I also love protein shakes after a tough workout, and yes… I am ALWAYS that person who makes everyone stop to go to the bathroom on road trips… glad I’m not the only one! Lol I drink a lot (water, coffee) when I’m bored! What kind of protein powder do you use and why did you choose that one? I use all kinds depending on the smoothie! This one I used Elite 100% Whey Protein Description from DYMATIZE NUTRITION ! What others do you use? What makes you use different ones for different smoothies? Thanks, I am trying to find one to start using, but I don’t know very much about them. I love those leggings! How good are they at covering your bum during squats, downward dog, etc? I’m horrified of flashing everyone in group classes! lol youre not the only one who worries about that! They are THICK and you can’t see anything when you bend over! I also like that I can wear them higher! I know it’s just a wrap, but I am seriously craving one now. Glad you had a good time and hope you are settling in now. 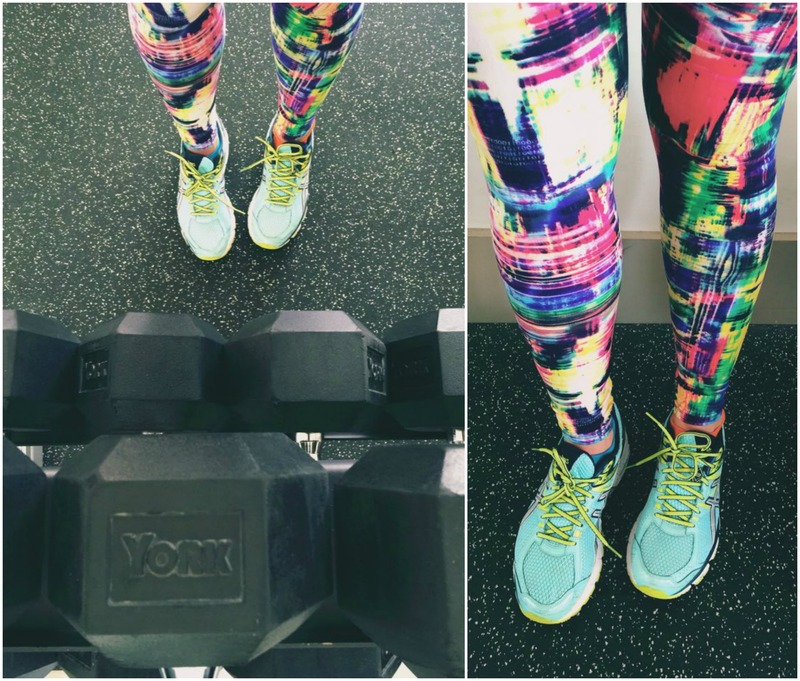 ps- I love all your colorful workout clothes! Thank you Kristin! I LOVE wraps. You should try Chopt and get one of their salads in a wrap! I’m in love with my fitbit hr! It is so easy to use, and I totally recommend it. I love that it tracks my sleep, and syncs with weight watchers. Oh and fun fact, my husband actually worked the Peoples Choice Awards. The joys of being married to someone who works in the crazy that is Hollywood. Yes my husband always say no we are not stopping but he pretty much lives his life to press my buttons in a funny way so we always do stop. Boys. Try the Way of Life app….it’s a really good way of tracking what your doing and providing an overall picture of your behaviors! 1. I’m usually the one stuck driving on road trips, so I can choose whenever I want to stop. 2. I did not watch the People’s Choice Awards, award shows aren’t as appealing to me as much as they used to be. I like those kinds of road trips! Yeah, they werent great this year! Hi! What protein powder do you use?? if you sit with your feet on the dashboard, you run a high risk for femor fracture (a very serious often risky injury) if you get in an accident. and its kinda gross just dont do it. That workout looks amazing! Can’t wait to try it 🙂 I’ve been hoping you’d put up a new workout post soon. Also, those leggings are super cute. I want to buy them, but what exactly does “One size fits most” mean? Can I fit into them if I’m a size 12/14? It fits 2-16! They are so stretch and fitting! Haha I was scribbling while on the treadmill. Very cool fitness tracker! I have a Garmin 920XT and it’s my favorite thing ever! It does everything–running, biking and swimming miles, steps, heart rate, etc. I can connect it to the app on my phone via Bluetooth, too. It even vibrates if I’m still for too long and tells me to move, haha. Excited to see what you think about that book–it looks awesome! 2. I actually do not even know what the People’s Choice Awards is, I should probably get out more. 3. I was obsessed with my Fitbit for a while, but it died. Recently I’ve loved MapMyRun, though I usually don’t use it on my phone & the My Fitness Pal app. Just a nice place to see all the data I like in one place. I never watch it, but it happened to be on the other night at the gym. You should try run keeper its great for tracking fitness activity! Love those leggings! I drink a lot of water so not going to the bathroom would be impossible haha! So funny! Thanks Heather! Yeah, I’d have to eliminate all liquids! The book has awesome tips!!! My boyfriend is the same way with bathroom stops on trips! He threatens to take my water away haha, some people are just in such a rush! Hahaha what is the matter with them! I also love the bulk section at Whole Foods! Was this post sponsored? Nope! & I like Earthfares selection too! I really enjoy your new blog: content and design. Your whole life is a vacation so why would it be hard to get back into the swing of things? It saddens me the things people choose to say on the internet simply because it is so easy to do. If it isn’t kind, helpful, or necessary it is best left unsaid. You might read her blog, but you don’t live her life. You do not know anything about my life other than the small bits I share on this blog. I work very hard and have just as many bills as the next person. I do what I love and I’m sorry if that bothers you. I suggest you find something that makes you happy as well. I can’t stand all the hate you get, Tara Lynn. Please ignore them and a continue blogging. I use runkeeper to track my runs but i’ve recently been given a Jawbone fitness tracker for Christmas which goes around your wrist also connects to the app on your phone, and counts your steps, but I love it for tracking my sleep and the quality of sleep I had! 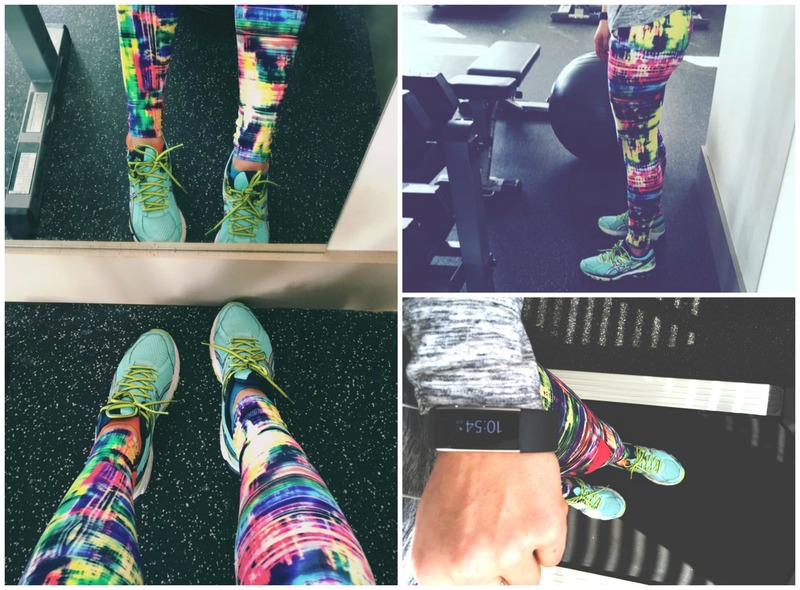 Love those leggings, nothing like bright colourful workout clothing to make working out better during the winter months! Run keeper is my jam!! I use MyFitnessPal to log in my foods, didn’t watch the awards show. Love that app for recipe creating. My husband does the exact opposite and pretty much makes the time for when we will be stopping for bathroom breaks when we travel to NY. My husband bought me a FitBit Charge HR in June and it is AMAZING! 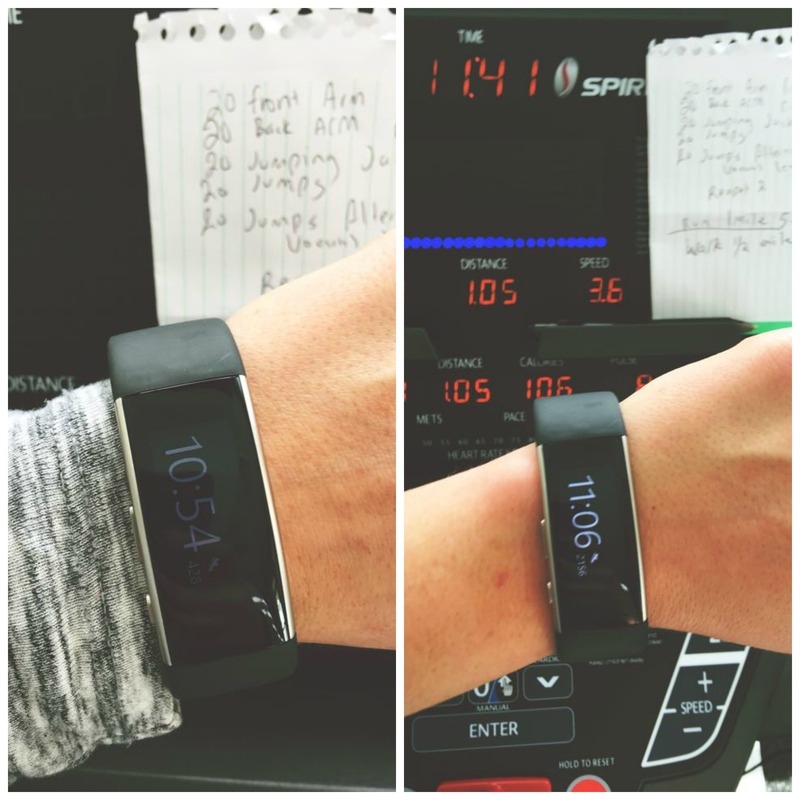 I also pair it with My Fitness Pal to keep track of everything you can think of throughout your day. Just bought my husband a FitBit Charge HR for his birthday and now it’s a competition/challenge between the two of us to see who did more steps throughout the day. 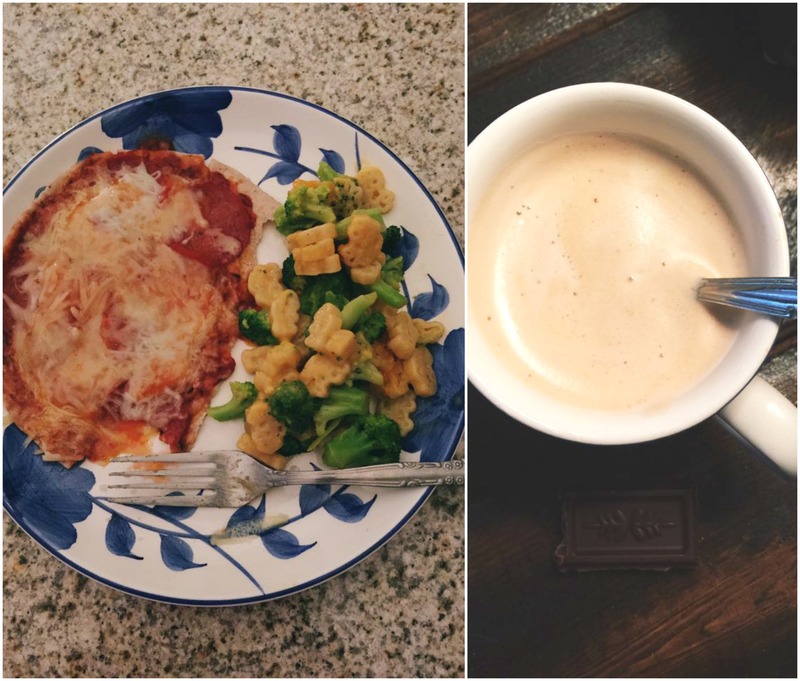 Love all of your recipes and reading your blog posts! 2.) I did watch PCA’s… wasn’t too impressed. I couldn’t believe the way they handed out some awards. For instance, when Big Bang Theory won choice comedy.. I couldn’t believe how the announcer was like “oh BY THE WAY, Jim Parson’s also wins for actor in a comedy”. Um… that seems like kind of a big deal? Same with Ellen Pompeo when Grey’s Anatomy won for drama. They needed to hand out more awards in my opinion. And Jane Lynch seemed kind of awkward.. I love MyFitness Pal and my FitBit too! I love that they sync together too. 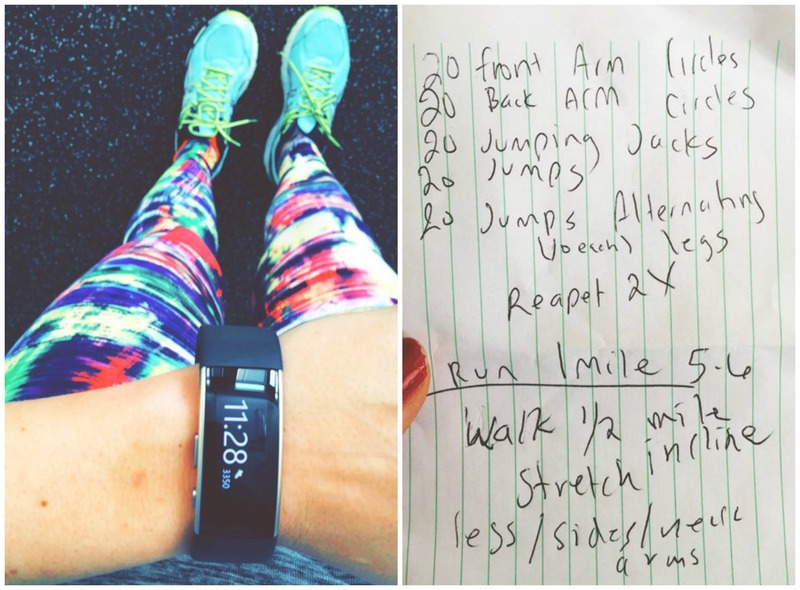 Did you sync your fitbit to your fitpal account?! Yeah, I thought they rushed a lot of it and I would have loved to see the other people receive their awards. There weren’t enough performances, jokes, or skits. I love when MTV does theirs. I love fitness pal for recipes but apparently i need to get on the fitbit train. 1. That’s one of my pet peeves! And why I like traveling by myself! After Christmas in Alexandria my sister and I drove back to her home in Chesapeake. We took seperate cars (because I needed to drive back to New York after the new year). i always drink a lot of water and coffee while driving and she was getting so frustrated with me because I wanted to take bathroom breaks! 3. I love my Fitbit!! I bought the zip a few years ago and got the charge hr at the beginning of December. My steps have increased by almost 4,000 because I’m so obsessed with checking my wrist for step counts every 30 minutes. I’m officially that person that walks on the treadmill before bed if I don’t have 10,000 steps in. I also love checking my heart rate during my workouts to make sure I am really pushing! I also love using the app to track my food and progress!! I have to make stops too! I try not to at night, but during the day I don’t mind it. I’m leaving to AZ tonight (I live in Orange County, CA), and am definitely a fan of road trip snacks! 😉 We’re leaving late, so I hope my boyfriend doesn’t want to stop and use the restroom too much hahaha! And we’re taking my puppy, Casey Junior, on it…it’s his first road trip. Let’s see how this goes! I got a Fitbit for Christmas and have been using it 24/7. I love it! Your band sounds very similar. Good luck and stay safe!! !